[Opinion] Is It Time for 'Ai-Tainment' and Celebrity AI? Home OPINION Is It Time for ‘Ai-Tainment’ and Celebrity AI? [Opinion] Is It Time for ‘Ai-Tainment’ and Celebrity AI? The future is here whether you’re ready for it or not. Back in late June, SM Entertainment teamed up with ObEN, an artificial intelligence company that uses technology to create personal AI. 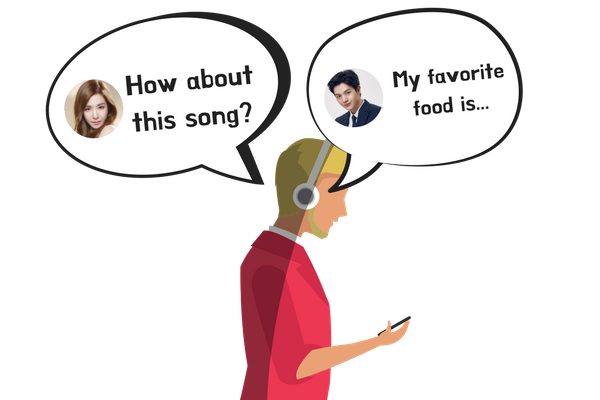 The personal AI can “seamlessly incorporate” a person’s very-own voice, face and behaviors. 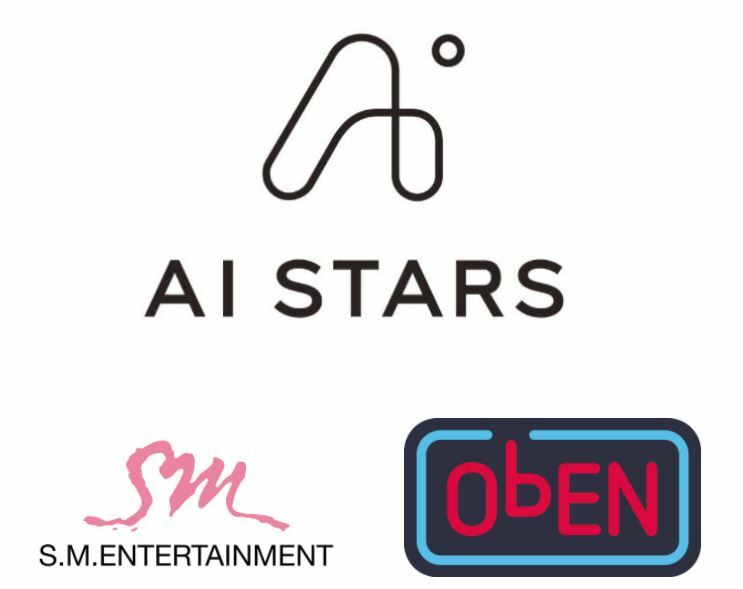 The two companies announced they would create AI Stars Limited (AI Stars), the world’s first agency that combines celebrities with AI technology to provide fans with a new kind of entertainment. SM Entertainment’s Chief Vision & Strategy Officer Kim Young-min likened the idea of celebrity AI with Amazon’s personal assistant, Alexa, saying that if applied in an entertainment context, fans would want Alexa to talk like their favorite celebrity and embody their personality. The company’s founder Lee Soo-man also made the same point during a speech in Indonesia, saying, “Nowadays, the public is interested in learning about celebrities’ lives through their SNS. In the future, this tendency will only grow stronger.” In response to this growing phenomenon, Lee revealed the company’s plans to expand its entertainment business by developing celebrity avatars that can be used in smart devices, self-driving cars, chat bots and robots (like the AI Speaker). According to Nikhil Jain, cofounder and CEO of ObEN, Inc, the new venture into AI will help celebrities who have limited time to interact with their fans. “AI Stars will enable celebrities, through their AI, to create interactive and highly personalized experiences for their fans while growing their reach. ObEN’s AI technology is a plug-and-play solution that requires minimal time and effort from the celebrity while giving them control over their AI,” he said. In theory, it will bring even more attention to the real celebrities because the AI will be made by gathering data on their unique characteristics. For some, the idea of bringing a celebrity into the comforts of your home and daily life sounds tempting and almost too good to be true. A future where you can wake up to your favorite Super Junior member’s voice and ask them about their favorite foods will most likely have avid fans squealing in delight. After all, it is every avid fan’s dream to meet and have a conversation with their idols. 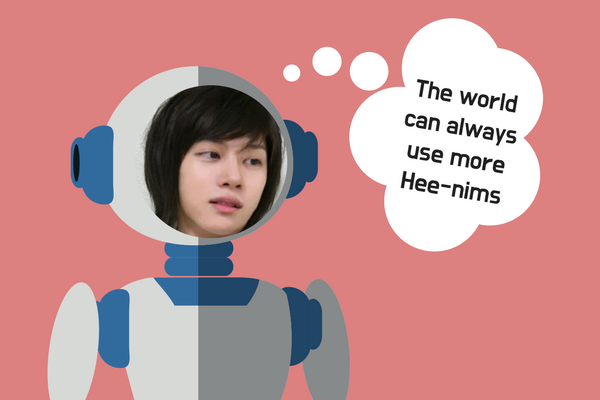 In that regard, it seems as though celebrity AIs will help in making fans feel closer to their idols. However, communicating with a personalized celebrity AI is clearly not a real fan and celebrity interaction. The image, voice and behaviors of the celebrity is adopted and used to carry out tasks for consumers. Although ObEN CEO Nikhil Jain says that celebrity AI “requires minimal time and effort from the celebrity while giving them control over their AI”, it is worth asking how much control the celebrity has when they are putting so little time and effort. It is hard to imagine the celebrity managing their own AI in addition to their own schedules. In reality, SM is simply selling the illusion of interacting with your celebrity. Why invest in such an (obviously not cheap) illusion? Is it worth it? 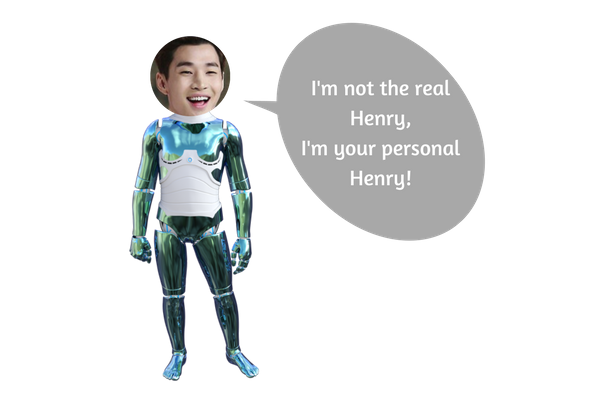 With apps like V Live, Twitter and Instagram, it is questionable whether a celebrity chat bot or alarm clock is necessary. Rather than splurging on an illusory interaction with a celebrity clone, why not just use social media to see what Red Velvet is up to? You can do it for free. While you’re at it, why not save up to see your favorite group’s performance or buy stickers your favorite BTS member actually drew himself? Why sacrifice the time and money to talk to an AI when you can invest in seeing your favorite celebrity in the flesh? For entertainment enterprises like SM, why not work with celebrities to make concerts more affordable for fans who live too far away or usually cannot afford to go to them? Instead of raking in money by selling fake, personalized interactions, how about addressing miscommunication between celebrities and fans, promoting honest communication, and taking legal action against anti-fans to protect the well-being of celebrities? Celebrity AI and “AI-tainment” is a money making scheme that sells a fantasy for those who can afford it. It’s extra. It also promotes fetishizing, which is the one thing the entertainment industry can do without. Arguably, fan-meets and handshake events also sell an experience for fans that gives the illusion of closeness with your favorite celebrity. However, during fan-meets and handshake events, the celebrities are free to react and talk freely one-on-one with their fans. One cannot experience that through celebrity AI. There is no need for celebrity AI. It is not revolutionary. Although SM Entertainment prides itself on bringing new refreshing ideas to the forefront, frankly speaking, it is not. It is merely copying and pasting its celebrities onto fanciful forms of technology.